Fans of the iconic Philly cheesesteak can now show their love of the super sandwich on a new shirt, hat or other item. Geno’s Steaks has entered a new and exciting venture, this is a grand innovation for the iconic cheesesteak shop and its owner Geno, whose father Joey started the iconic food haven with six dollars in 1966. 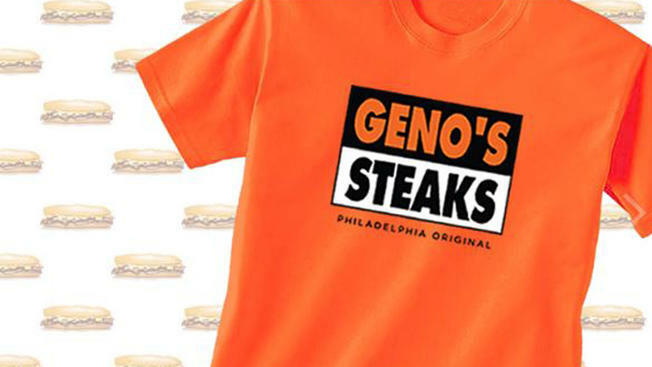 Geno’s Steaks announced Thursday the opening of its online retail store GenosGear.com. The online store offers a wide assortment of hoodies, shirts and hats for men, women and children. Other items like coffee mugs, branded totes, lanyards, keychains, and bumper stickers are also available.